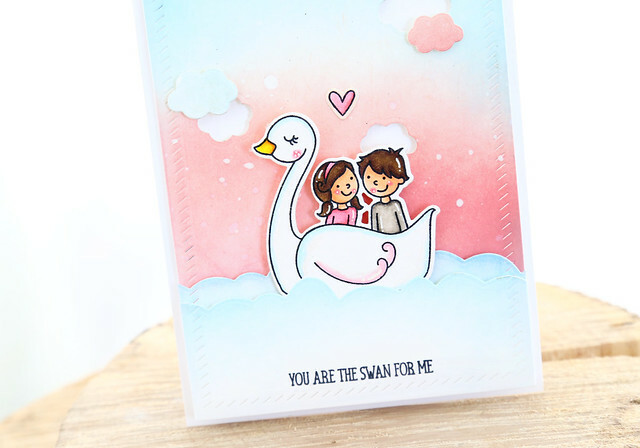 I'm here and on the Avery Elle blog this morning with a card featuring the new Swans stamp set. Isn't that couple the cutest? 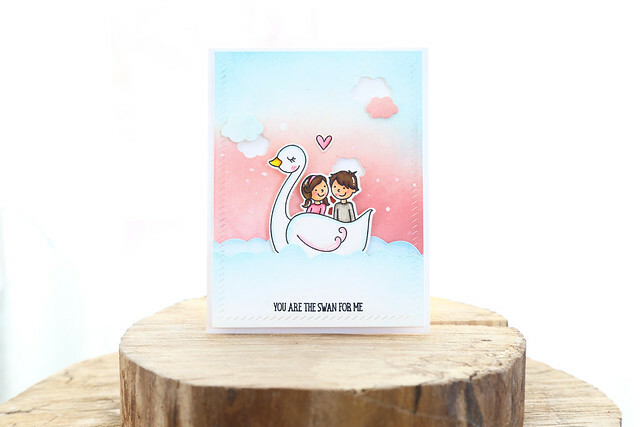 I stamped, colored and die-cut the focal image and used the pierced cloud borders as waves for the swan to wade through. The background was created using distress inks and then splattered with water. I used pinks and blues to keep the whole card looking like a perfect sweet Valentine.